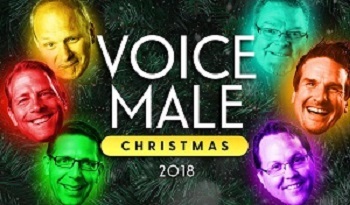 Presented by Voice Male Music, Inc.
Voice Male has delighted audiences of all ages with their acappella Christmas shows for nearly 25 years. Their gorgeous harmonies make it feel like Christmas again and get you ready for the season. They sing, they joke, they amaze, and spread Christmas cheer for all ages. "It's hard to leave a Voice Male show without a smile!"